Ike's may soon go the way of the Red Box. Some of the best sandwiches in the Bay Area may be as easy to get as a Redbox video. 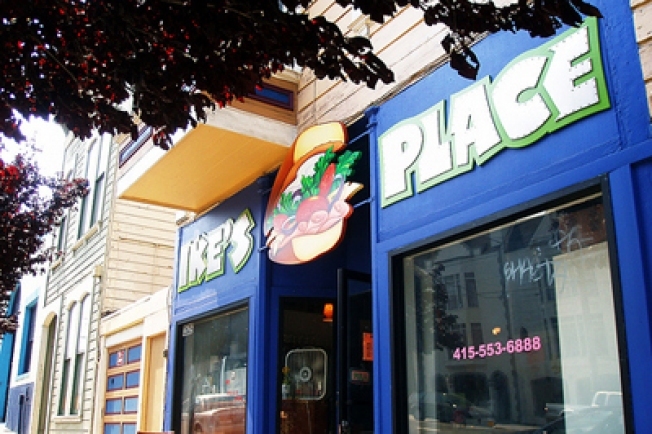 Ike's Place, a popular sandwich shop in San Francisco's Castro neighborhoood, is not planning to open a new location in the Mission. Instead, the deli is gauging interest in vending machines filled with tasty Ike's delights. The sandwich shop, which constantly sees lines out the door, is currently conducting an online survey. Four of the 18 questions deal with whether you would eat a sandwich served up by a vending machine. The survey also tries to pin down specific locations -- like Mike's Gym & Yoga and Bob's Video Store -- for potential vending machines. There may have to be some adjustment may to the sandwiches, as our friends at Mission Mission point out. How is halal chicken sauce going to taste in a sandwich after sitting behind glass for a few hours? But it may make up for Ike's newly shortened hours.